Power Plant Live! 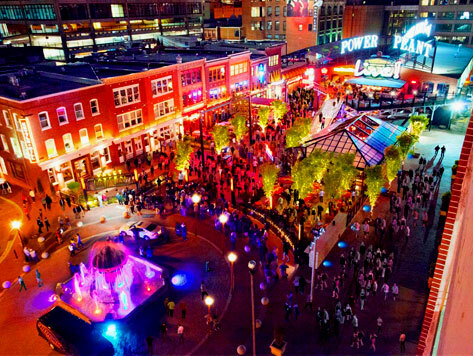 is the premier dining and entertainment destination located in Baltimore’s Inner Harbor. Featuring a fine collection of the city’s best bars, clubs, and restaurants, Power Plant Live! is considered a focal point of downtown Baltimore nightlife. Restaurants and bars include Aggio, Angel’s Rock Bar, the Havana Club, Howl at the Moon, Joe Squared, Leinenkugel’s Beer Garden, Luckie’s Liquors, Luckie’s Tavern, Rams Head Live!, and Ruth’s Chris Steak House.